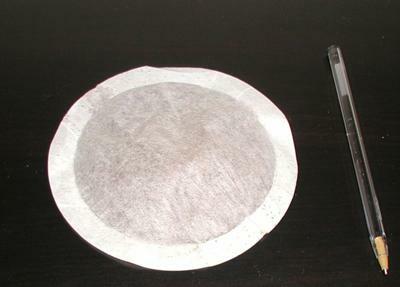 I'm looking for 5" diameter round fillable coffee filter pouches like the one shown in the picture. They hold about .5 oz. of coffee. They have to be round to work well with my Jerdon World Class 4 Cup Coffee Maker. Anyone know of a company that makes and sells these?